There aren't enough food, service, value or atmosphere ratings for Lot A Burger, Oklahoma yet. Be one of the first to write a review! Holy Moly. What a portion ! I love that this greasy burger place is still in business. They are consistent on having good greasy burgers that are delicious. I would recommend this place to anyone looking for a good burger and fries. This is the best hamburger I have ate in a long time and you get a lot for your money. I love the atmosphere quiet and out of the way. A great place to eat, drink and think. I popped in for a burger, fries with gravy, and a large iced tea. Everything was perfect including the service! This is a great little hamburger place. One of other best burgers in town. The special number 2 is the best on the menu, it would only be better with double meat. Curly Q frys are a must. Big, messy, get it on you, ( be careful ) just great. That double meat double cheese is excellent, always very well seasoned, and feshly cooked served hot. The building looks neglected outside, but don't let that stop you. Great home style fries and old fashioned mustard burgers. 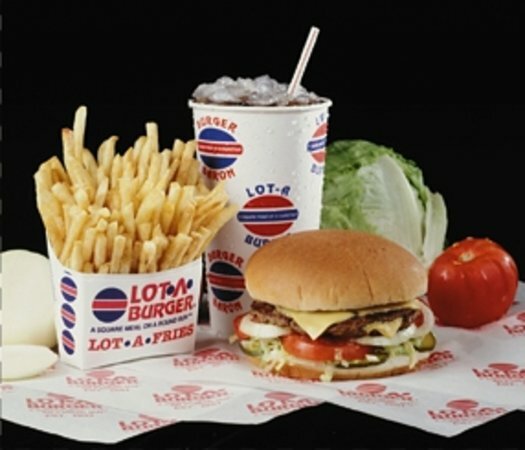 Get quick answers from Lot A Burger staff and past visitors.